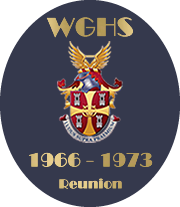 In September 2016 was half a century since the cohort of 1966 to 1973 became pupils of Wolverhampton Girls' High School. Lynda Kus (that was) is now the webmistress of the WGHSOGU site and the editor of the newsletter. She wanted to organise a reunion get together for all of those from that yeargroup. We managed to get in touch with 26 members of the yeargroup (mainly from the K form - and we are still searching for more!). A dozen of us attended this first reunion and a good time was had by all! We met up on a sunny autumn day in October 2016, had a tour of the school and a bring and share lunch, at Lynda's house. Delicious food and wine was accompanied by a soundtrack mix of hits of the era to remind us of 'of days past'.... and lots of chat! The years melted away! 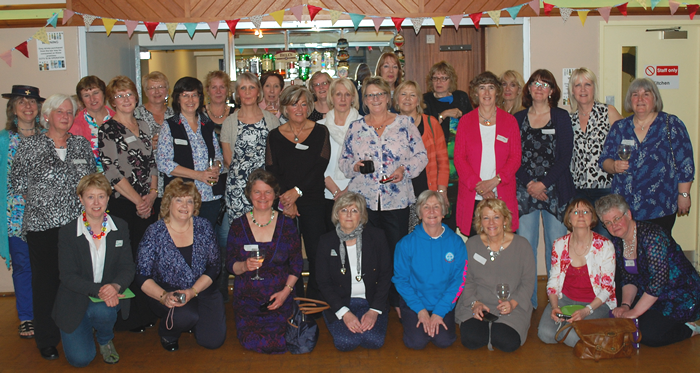 The third reunion for the Class of 1968-1973/75 was held on 9 May 2015 at Woodfield Social Club, Penn, Wolverhampton. J: Alyson Baker, Liz Box, Heather Chinner, Dawn Cooper, Marie Doherty, Marion Gabourel, Alison Jewkes, Ruth Kettle, Ruth Lewis, Sarah Meddings, Sheila Myers and Wendy Salmon. K: Susan Ford, Marie Hailey, Fiona McLean and Gill Ridd. 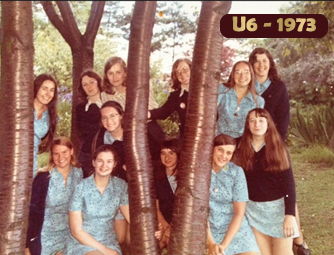 L: Wendy Burgess, Gill Edwards, Janet Green, Elaine Gwilt, Angela Noden, Diane Palphreyman, Julie Parker, Jacky Senior, Maura Sherar, Jane Swift, Val Turner. Michelle Wherton, Mary Wood and Karen Welch. J: Susan Ashfield, Frances Dalton, Jayne Gates, Josie Hassman, Diane Inskip, Liz McLoughlin, Jane Raybould, Gill Samuels, Susan Richards and Mandy Vaughan. K: Jayne Beesley, Jane Hollins, Susan Peet and Jayne Taylor. L: Margaret Askew, Susan Bagley, Debbie Broadbent, Helen Cotter, Liz Guyatt and Val Roberts. Let me know the details, time and place of any reunion that you arrange, and I will advertise it on here.